Real Payday Loan Consolidation - Thousands of people across the world are struggling with debts such as high credit card balances, mortgages or medical bills. This struggle usually is frustrating and exhausting. Not knowing how to pay off multiple payday loans puts people under tremendous pressure. When it comes to a point where an individual cannot repay his own loans, there is always an alternative – debt consolidation loan. Loan consolidation is a form of personal loan for people with bad credit. Payday Loan Consolidation is a great solution for all debtors with huge debts. However, loan consolidation comes with its risks and therefore there are alternatives to it. Here is some advice on how to consolidate payday loans online and get out of debt. The numbers payday loans you can get can be more than one. This is because the lenders are independent and will deal with you as an independent customer. They do not ask for your credit history and will offer you the loan based on their current evaluation of your profile with them. However, it is recommended that you stick to one payday loan at a time. It is difficult to keep track of several loans and you are most likely to lose track. You will also not be able to pay them all on time and therefore you will have to pay extra fees for late repayment. What Is Loan Debt Consolidation? Debt Consolidation Loan is a financial instrument which provides repayment for your current debts by combining them into one debt. Of course, with the new bill comes a new interest rate. The number of the bills you have and the combined interest rate is reduced. When concerning a payday consolidation loan, it is common that they are unsecured, based only on your promise to repay. Still, there is the possibility of taking a secured loan with a collateral taken out on one of your assets. This asset can be your house, an automobile, smaller possessions or even other accounts or insurance policies in your name. Why Should I Use Exit Payday Loans? Yes, consolidating your payday loans is the best and most suitable way of repaying your payday loans. 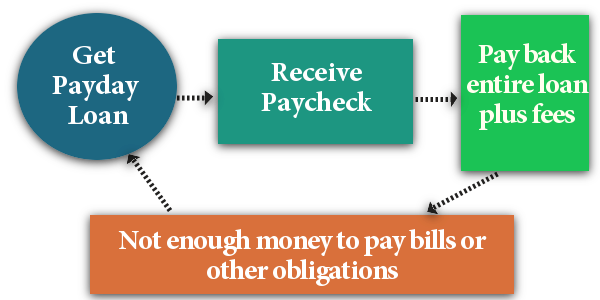 If you have accumulated debts, consolidating can be a good option. The only thing you need to do is to understand what consolidation is all about. There are many experts you can seek advice from. The advisors will help you in the evaluation and validation of your loans. Consolidation will help you pay off your loans and you will only be left with one debt to pay. Payday loan consolidation is associated with high interest. A consolidating company will first find ways to reduce the interest rate that you are being charged. This will also help you avoid additional fees and charges. With consolidation, you have sufficient time for you to pay back your loan. You will be paying back at a lower interest rate and have more time and reduced monthly repayment installments.